Several students in the School of Applied Sciences’ Legal Studies program recently made a trip to the 52nd Annual Meeting of the Academy of Criminal Justice Sciences. 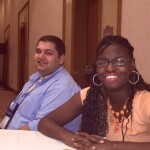 Held in Orlando, Florida, the ACJS conference contained panels, roundtables, and workshops on topics such as criminal justice internships, legal policy, and police behavior & decision-making. 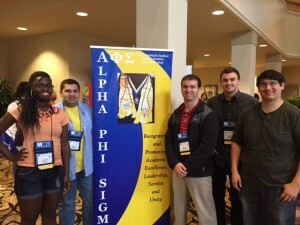 UM students who made an appearance at the conference were a part of Alpha Phi Sigma, the criminal justice students’ honor society. Trey Moore, a legal studies graduate student at the University of Mississippi, was the 1st place winner in the Specific Topic Scholarship Examination and awarded $500. Moore said he was confident during the competition but still surprised he won. “Support from the legal studies department was very important for my success,” he said. 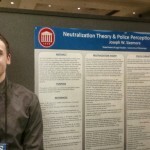 Additionally, the Tupelo student Michael Dozier was awarded a $150 scholarship at the “Juveniles Convicted as Adults; Sentenced to Life” panel, and graduate student Joe Sizemore presented his thesis research, “Neutralization Theory & Police Perception of Misconduct,” at the conference. Professors Linda Keena, Carl Jenson, Stephen Mallory, David McElreath, and Michael Wigginton also presented papers at the conference. 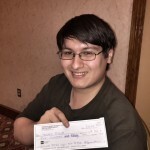 Trey Moore shows off his first place winnings. 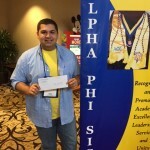 Michael Dozier awarded $150 scholarship. Graduate student Joe Sizemore presents thesis research. 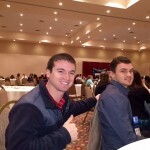 Students Matt Coleman Joe Sizemore. 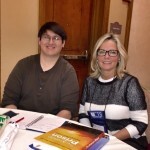 Dr. Linda Keena and Trey Moore.